their states of health while registering for mobilization into the Scheme. 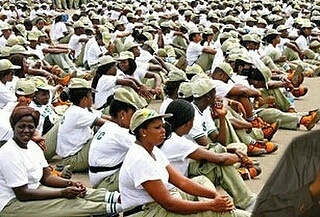 This is coming after the death of three Corps members, Elechi Chinyerum Nwenenda, Oladepo Ifedolapo and Asuquo Ukeme Monday, during the on-gong 2016 Batch ‘B’ (Stream I) Orientation Course in Bayelsa, Kano and Zamfara States respectively. The Director-General, Brigadier General Sulaiman Kazaure, gave the advice when he addressed the 2016 Batch ‘B’ (Stream I) Corps members at the Orientation camps in Anambra and Delta States. He explained that the essence of making provision for information on health status in the NYSC online registration process was to allow deployment of those with special health needs to their home states or locations of health facilities where they were receiving care. Kazaure noted, however, that many prospective Corps members deliberately concealed their illnesses while registering on the platform. He said the entire Management of the Scheme was saddened by the deaths. He assured that the Management would continue to accord top priority to the welfare and security of Corps members.